The original electrical contracting partnership started off little different to any other – a couple of electricians working together from a rundown shed on a back section. 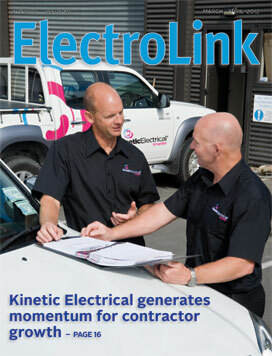 But today, 16 years later, Kinetic Electrical has evolved into one of the largest contracting operations in Hawkes Bay and is now the flagship branch of an expanding electrical contracting franchise. A short form of certification is currently being developed by ministry policy people as a means of reducing the cost of certifying low-risk electrical installation work. The intention is to introduce this and other certification changes in a mid-year regulation amendment that will refine the changes introduced in April 2010. 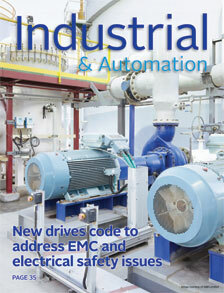 Although it is a common belief that electrical interference from the installation of a variable frequency drive can be difficult to eliminate, failing to address the potential for interference at the time of design, installation and commissioning can prove costly. Last year in Balclutha an electrical installer was taken to court over claims of large productivity losses in a customer’s dairy herd … with an accusing finger pointed firmly at a variable frequency drive’s installation on a vacuum pump. Central to the claim for damages were the background electrical characteristics which the dairy owner alleged had caused distress to his herd and a fall in milk production. 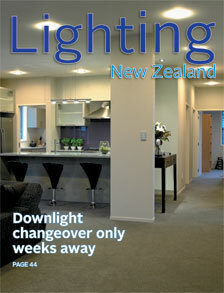 Time is now running out for currently lawful but now ‘old’ downlights to be installed on new residential installations. Energy Safety says the best way to ensure the compliance of any installation using ‘old’ downlights and started after November 10 last year would be to complete certification by May 10 when the right to install ‘old’ downlights on ‘new’ residential installations ceases. Installations commencing after this date must use downlights designed and installed to the new standards.